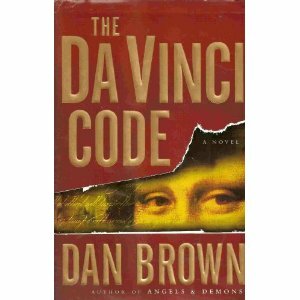 The Da Vinci Code, published in 2003, was written by Dan Brown. This mystery-detective novel has generated a lot of criticism since its publication. Many critics, historians, art historians, and Catholics have lambasted this book for its inaccuracies. For this reason, I had avoided it for years. And I wasn’t a huge fan of the movie. However, I received the audio book and I decided to give it a go. This is the second book that I read for R.I.P., an event hosted by Carl at Stainless Steel Droppings. The plot is somewhat complicated. Robert Langdon, a Harvard professor, is implicated in the homicide of Jacques Sauniere, the curator of the Louvre. The curator, however, was murdered by a man named Silas, who is working for a man referred to as the Teacher. Silas is searching for the “keystone”, which is needed to find the Holy Grail. Bezu Fache, the Police Captain, believes that Langdon is guilty. Initially, the Harvard Professor believes that he has been called to the scene of the crime as an expert to help the investigation. He is unaware that Fache is hiding evidence that suggests that Langdon was involved. Sopie Neveu, a police cryptographer, arrives at the scene of the crime to help Robert Langdon. Not only does she believe that Langdon is innocent, but she is the granddaughter of the murder victim. She forces Langdon to make a run for it since she thinks that Fache will do whatever it takes to convict Langdon. Once they escape the Louvre it becomes a mad dash to figure out who actually murdered Sauniere. They have to avoid the police and the murderer. As the plot unravels, the reader learns that there is a conflict between the Priory of Sion and Opus Dei. The Priory’s role is to protect the Holy Grail. Opus Dei wants the Holy Grail to increase their power. The novel takes place in a day. There is a lot of action. There is much mystery. And there are some good twists and turns. While listening to the novel, I did not concern myself with the knowledge that many experts claim that Brown’s premise is preposterous and that his supporting arguments are fallacies. Instead, I found it to be a fun and entertaining novel to listen to. I don’t know enough about the history to know how much was true and how much was fiction. For me it didn’t matter. Millions of others felt the same way. As of 2009, the book has sold 80 million copies. I’ll let the experts argue the points. I understand that historical fiction should not take too much liberty. I also understand that sometimes it’s fun to get sucked into a story and not take facts too seriously. But don’t tell my former history professors I said this. 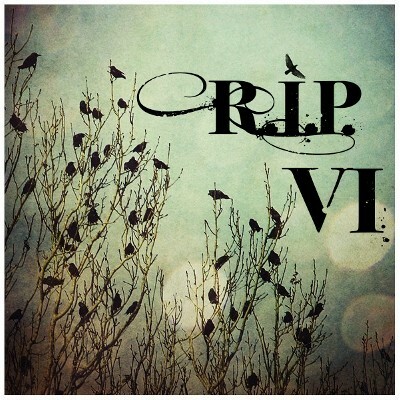 If you would like to read other reviews for R.I.P. please visit this page. Please note that I still do not have internet access at home. I will respond to comments as soon as I can, but it may take time. Thank you for your patience. This entry was posted in Books and tagged 50 Year Projects, Art History, Book Reviews, Dan Brown, Detective Novels, History, Mystery Novels, R.I.P., Stainless Steel Droppings, The Da Vinci Code. Bookmark the permalink. It was a fun read! Do you prefer nonfiction? I also enjoyed this book, as I did others by Dan Brown. A rather exhausting read but it was worth it. Thanks for the review. I haven’t read anything else by him. Any suggestions? I did like this one – I remember reading it on an island beach a few years ago. But I liked Angels and Demons even better! I’m jealous that you read it on a beach. It would be hard for me to hate any book that I was reading on a beach. I’ll have to check out Angels and Demons. Yay! Good to hear from you again! I think it’s odd when people (especially conservative Catholics) take fiction a bit too seriously and get offended by it, when part of the point of fiction is that it isn’t reality. I haven’t read The Da Vinci Code, but I’ve heard from a lot of people I know that it’s a good and entertaining story, despite the fact that it takes some liberties. I enjoyed this one. It’s fun, and like you I’m not concerned with how much is true. Sometimes I don’t want to take everything so seriously. Hello! Yes some of the book was a little long, but like you I still enjoyed it. I read the book, listened to the audio book and saw the movie (as well as with his other books). I have enjoyed Dan Brown’s works. Wow! You have covered all of the bases. You must really like it! I hated the Da Vinci Code. I had to ‘read’ it for reasons too obscure to go into here, and like you listened to it instead. Within minutes, I was shouting at the CD player. I heard, on Front Row on Radio 4 yesterday, an interview with Umberto Eco http://www.bbc.co.uk/programmes/b016817p where I learned that some people have called The Name of the Rose the thinking person’s Da Vinci Code. If you haven’t read it, do add it to your list. It’s a wonderful book. The Name of the Rose is on my list and I just read an article in the Sunday Times about his new book. I haven’t read any works by Eco but I recently purchased one of his books. I’ll let you know how I like it. Hope all is well with you! Hi Nia! I really enjoyed the book and I agree with you, it is so much better than the movie. I enjoyed it – it was fun, i didn´t worry about what was real and what was not. Am off to catch up with your posts as have been away! How was your holiday? Hope you had a blast! Can’t believe you still don’t have the internet. This is weeks! Who are you with? It’s nuts. Tell me about it! It is driving me crazy!!!!!!! They keep postponing appointments and such. great review TBM. I like this book too, I think it’s the best by Brown. Thanks! Silas was an intriguing character. I hope all is well! After reading two books of Dan Brown, when I read the third, I could immediately guess who the bad guy is. The bad guy must be the good guy from the start (except for the main characters) :D. Love his style of writing :). Sounds like he prefers to stick to a formula. Good to know. I really enjoyed this one. I’ll have to keep a lookout for other novels by him. Thanks for stopping by! I like your approach to reading the book; if I’m reading to *learn*, then of course I want to approach any purported facts well-armed and prepared to look for logical flaws and fallacies, but if I’m reading for pleasure, then I’m willing to gloss over any amount of improbability. We can learn from that, too, as it happens, if we spend any thought on what-how-why the improbabilities and factual errata happen to be. But mostly, if it isn’t entertaining me, then I won’t bother with that either! I think some people take things a little too seriously. If I was reading a nonfiction book that was filled with flaws or stretching the truth somewhat I wouldn’t give the book much credence. However, this is fiction. Like you said, if it wasn’t entertaining I wouldn’t have finished it. But it was entertaining and I know that it is just a story. I won’t use this book to round out my knowledge about this subject. I do like your comment that we can also learn from how these stories came about. It does tell a lot about the situation. Really liked reading this book! I’ve read all his books ever since. They’re pretty cool!